Aggressively look after the interests of those we represent. Trevor Osborn graduated from the University of Utah and was then offered a full-tuition academic scholarship to Chapman University School of Law in Southern California. Trevor and his family moved to Orange County, California where Trevor began gaining valuable experience with some of the country’s most prominent legal figures. Trevor worked in several law firms while in California, handling heavily contested divorces and custody battles, drafting complex contracts and estate plans, litigating cases, and having the rare opportunity to work one on one with several different judges that helped him gain an intimate view of the legal process. Trevor and his family moved back to Utah to be closer to their relatives, and so Trevor could form Red Law PLLC in order to better serve his home community. Trevor has worked diligently to develop Red Law into an innovative firm that specializes mainly in family law and offers a variety of legal services and billing options that cater to clients’ needs. Trevor also drafts contracts and estate plans and teams with other attorneys in Ogden to handle civil litigation matters. Trevor is accessible to his clients, fair in his billing, aggressive and forthright for those he represents, and thoughtful and strategic in how he solves legal problems. Julia Stephens is a native of Ogden, Utah. 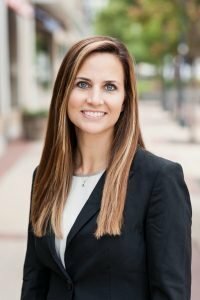 Julia earned her bachelor’s degree in psychology from Whitman College in Washington, a master’s degree in criminal justice from Weber State University, and her law degree from Oklahoma City University. Julia started her law career right here in Utah where she assisted the district attorney’s office in prosecuting cases and spent the next several years litigating contested divorces and custody battles, mediating family law issues, representing clients at administrative hearings, and negotiating contracts. In 2012 Julia moved to New York where she passed the New York bar exam and continued to gain valuable experience in the practice of family law. Julia and her family moved back to Ogden in 2018 where she joined Red Law in order to use her experience and diverse education to assist families litigating divorces, custody, and other domestic issues, and to create tailor-made estate plans. Julia and her family have long-standing ties in to the Ogden community where they have a history of helping those in need–Julia plans to carry on that legacy here. Julia is attentive to her clients’ needs, she’s an excellent problem solver, is honest in her billing, and aggressively pursues her clients’ goals.